Yes, it’s time once again for some brief thoughts about olde-tymey movies! I haven’t stopped watching pre-1960 movies, and I haven’t stopped having thoughts about them! Captain Blood (1935). 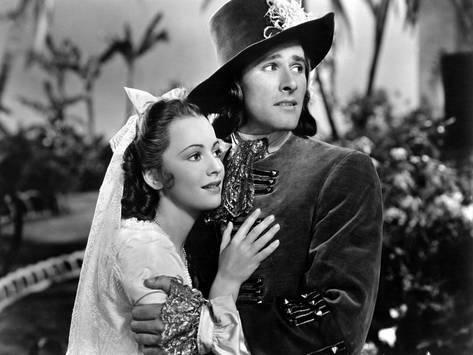 Errol Flynn plays a doctor who treats a rebel against King James II, so he’s convicted of treason and sent to Jamaica as a slave, which seems a bit harsh considering he just stitched some dude up. They played by Old Testament rules in the seventeenth century, man! In Jamaica, he’s bought by Olivia de Havilland, who likes the cut of his jib, but Flynn thinks it’s degrading to be bought and sold. Eventually he escapes and becomes a pirate, and we get all sorts of high adventure. Swordfights are fought, ships are cannonaded, damsels are distressed, and everyone has a grand old time. This was Flynn’s first big role, and it made him a star, and it’s easy to see why – he just had a natural charm that easily dazzled, so it’s not surprising women and men swooned over him. It was also de Havilland’s first big role, but she was only 19 at the time, so it’s not like she had been toiling for years, and she’s absolutely gorgeous. She’s perfectly capable of taking care of herself, and she matches Flynn’s command of the screen very well. Basil Rathbone is supposed to be Flynn’s big rival, but he’s barely in the movie before Flynn dispatches him. It’s weird that they took such a bizarre detour when the real conflict is between Flynn and the British, not Flynn and a fellow pirate. Anyway, the final battle between Flynn’s ship and the two French ships blasting at Port Royal is amazing – the special effects are tremendous for the time and still look impressive, as they didn’t use any full-sized ships and spliced in footage from The Sea Hawk from 1924. This is just a fun movie all around. And hey, Olivia de Havilland is 102 and still salty, apparently, so good for her! San Francisco (1936). I guess this is supposed to be a classic, but it’s fairly boring until the earthquake hits, which is really, really late in the movie. 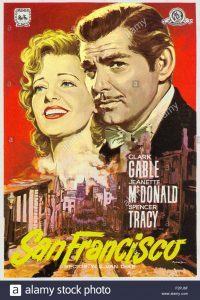 Clark Gable is well cast as a ‘Frisco saloonkeeper, as he’s confident, a bit smarmy, and seems to know literally everyone in San Francisco, before he has to become a hero during the quake, but Jeanette McDonald, though lovely, doesn’t really stand a chance acting opposite both Gable and Spencer Tracy. Tracy doesn’t even have too much to do – he’s a childhood friend of Gable’s who’s become a priest – but he’s Spencer frickin’ Tracy, so of course he acts very well (he was nominated for an Oscar, which is a testament to how good he is, as the role itself is bland). 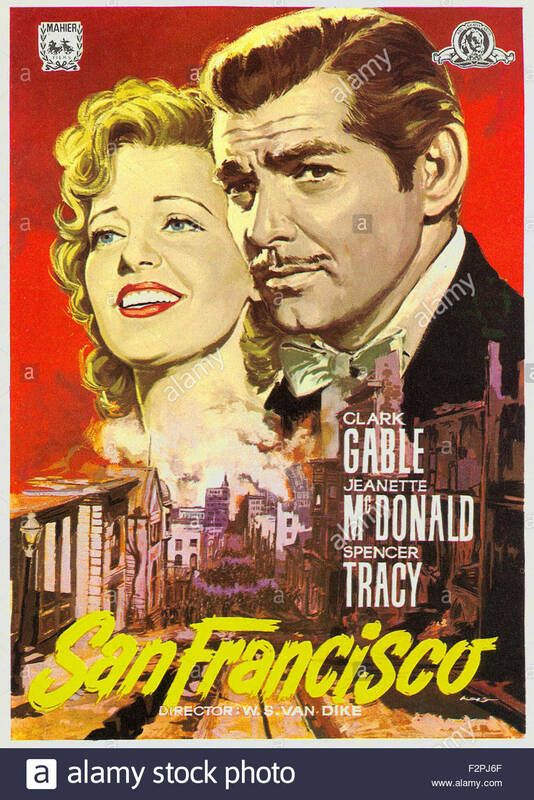 The entire plot is about the fact that two men – Gable and Jack Holt – love McDonald, so they both want her to sing for them, except Holt is a member of the upper crust so he can feature her at the opera. 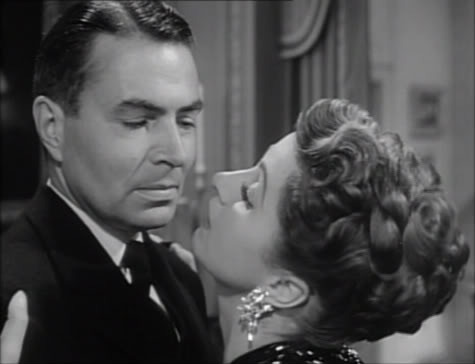 She waffles between them for most of the movie, and the only reason she chooses Gable, it seems, is because Holt dies in the earthquake. The problem with these kinds of disaster movies is that when the earthquake hits, it simply obliterates every plot thread that’s been going on. We get this entire plot about Gable trying to save his saloon (because Holt wants to put him out of business), McDonald torn between two worlds, Holt honestly loving McDonald but still trying to win her with money, and the notion of political corruption in the city, but all that goes by the boards when the city gets wiped out. The special effects are superb, as buildings tumble and the ground splits open and fires burn out of control, and it’s extremely impressive. But then we get the end, where Gable starts crying (he objected to it, which is why he’s filmed from the back) and gets religion, which makes him worthy of McDonald, I guess, as she’s already been shown to be fairly religious herself. Then everyone just starts singing because damn it, they’re going to fix the city! It’s a dumb ending, and it doesn’t really tie up anything, because the earthquake had interrupted it. A better movie might have moved the earthquake to the middle or even the beginning of the movie to show how the city recovered. But what do I know? This was the highest-grossing film of 1936, proving that people in the Golden Age liked special effects spectacles as much as people today do! Night Train to Munich (1940). Margaret Lockwood ends up on a train again, after starring in The Lady Vanishes two years earlier, except this time she’s directed by Carol Reed, and the overall product is better than Hitchcock’s somewhat weird story. Lockwood is the daughter of a Czech scientist who has developed a process to make steel stronger, so of course the Nazis want him. 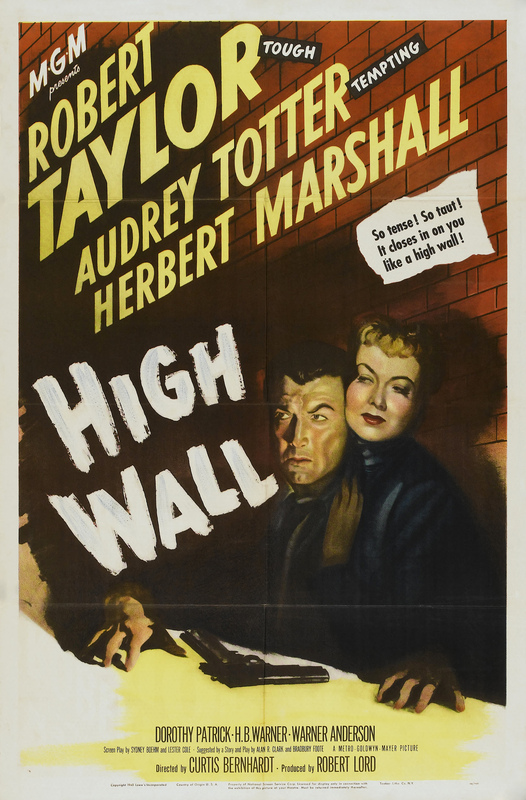 He manages to escape Czechoslovakia, but Lockwood isn’t as lucky, and she’s put in a concentration camp. 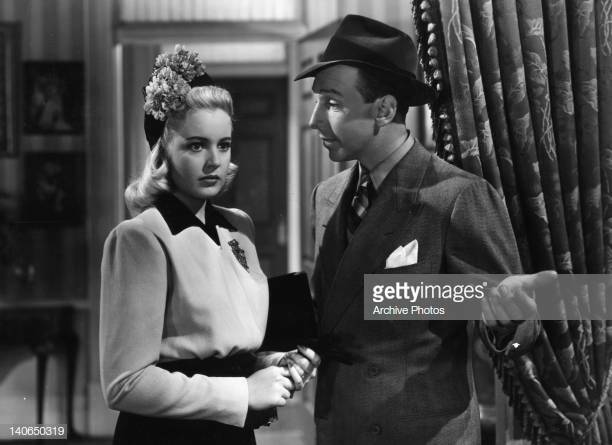 She escapes with the help of hunky Paul Henreid, who turns out to be … a Nazi spy! Oh, no, Victor Laazlo, say it ain’t so! He gets her to England so that she can find her father, and then they drag the two of them back to Germany and Berlin, where the father refuses to talk. 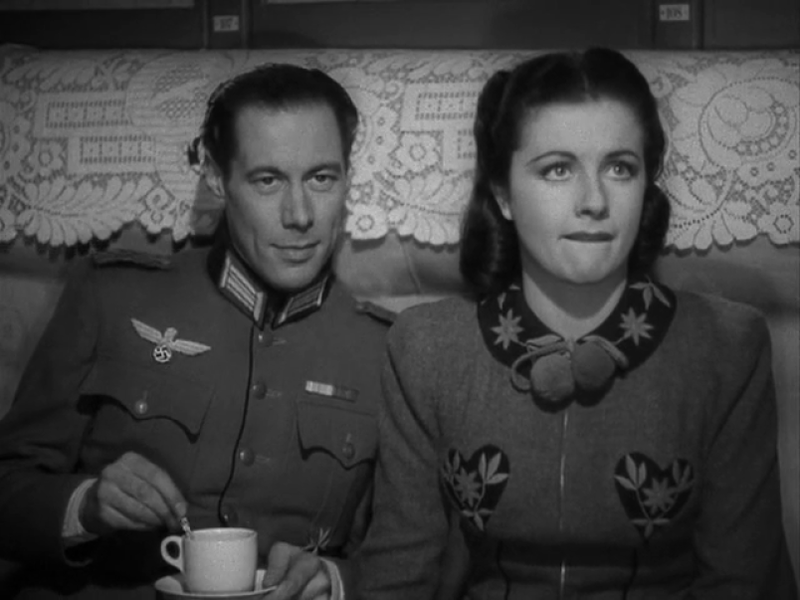 Rex Harrison is a British agent, and he goes undercover as a Nazi soldier to get them out, and they all have to get on a train to Munich, where Harrison plans to smuggle them into Switzerland. It’s an exciting movie, with some good tense confrontations and skin-of-the-teeth escapes, and a strange amount of humor so it’s never too heavy. The humor comes largely thanks to Basil Radford and Naunton Wayne, playing the same characters they played in The Lady Vanishes (they would appear as those characters in two subsequent movies). They’re much more serious here than in Hitchcock’s movie, but they still get to provide the comic relief, and they’re not quite as annoying as they are in their first movie (where they were dicks to poor Margaret Lockwood simply because they wanted to get back to England to watch cricket). There’s a lot of action, an exciting final battle, and good special effects. Harrison looks kind of weird, though – he’s so well known for playing older characters that seeing him at 32 is a bit weird, as you can see the older man coming through but he’s still young. Weird. Also, Lockwood was born in colonial India and Henreid was born in Austria-Hungary. Dang, the world has changed a lot in the past century! She can barely keep it together in the presence of dapper Rex Harrison! Dressed to Kill (1941). This is a short, breezy murder mystery with plenty of comedic elements, and it works for light entertainment. Lloyd Nolan plays Michael Shayne, a private detective, who’s about to marry his girlfriend when he hears a scream from the floor upstairs from her hotel room, so of course he ditches her to investigate. He discovers a dead theater producer and one of his actresses, both shot, but with different guns. The producer is wearing a prop dog’s head, which makes the murder scene quite bizarre, even for today. Shayne plays fast and loose with the rules, as he calls the newspapers first promising them a scoop if they pay him, and he generally ignores the police, represented by William Demarest’s Inspector Pierson. It’s a goofy movie, but Nolan does a fin job as the fast-talking, fast-thinking Shayne, and the case is weird and twisty but never too complicated. Everyone is hiding something, of course, but Shayne figures it all out, constantly delaying his wedding until his girl, the very cute Mary Beth Hughes (who acted in seven, yep, seven movies in 1941), leaves him for an old flame. Marriage is played for laughs throughout, though, so the implication is that Shayne dodged a bullet. This is part of a series of Shayne movies, and it’s fine, if pretty forgettable. It’s nice and quick, and fun to watch. So that’s nice. She’s contemplating the long, joyless existence of marraige to such a doofus! 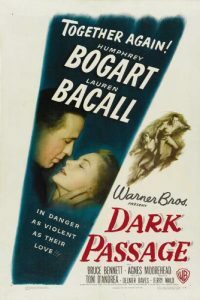 Dark Passage (1947). This is the third movie that Lauren Bacall and Humphrey Bogart made together, and it’s kind of weird (why they didn’t make more of them when they were married throughout the 1950s is a mystery). For the first hour, we don’t see Bogart, as the film is either filmed subjectively or we see his silhouette. There’s a reason for it, but apparently Jack Warner wasn’t happy about one of his biggest stars not showing his face for the first hour, but when he found out they were so far into production he couldn’t shut it down. Anyway, Bogart plays a convict who escapes from prison and gets picked up on the road by Bacall, who takes him back to her apartment. 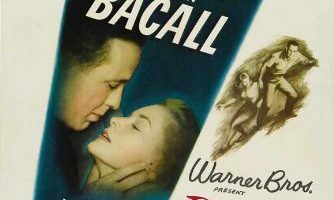 The movie is full of coincidences – Bacall just happens to be someone who followed the case very closely, and she believes Bogart is innocent, so she has no problem helping him. Meanwhile, she’s friends with Agnes Moorehead, whom Bogart also knows, as it turns out. San Francisco isn’t that small, people! The plot is kind of weak, as the real identity of the murderer is fairly obvious (of course Bogart is innocent!) and Bogart acts kind of stupidly once he figures it out. He’s also very subdued, which is strange. Bogart is a solid actor, but not so good that he can abandon his strengths – the tough guy persona, essentially, that works for him even in stuff like Sabrina – but he drops it here, and it enervates him, so that he doesn’t really match Bacall’s whip-crack acting. It makes the movie not quite as tense as it could be, but it’s still pretty good. 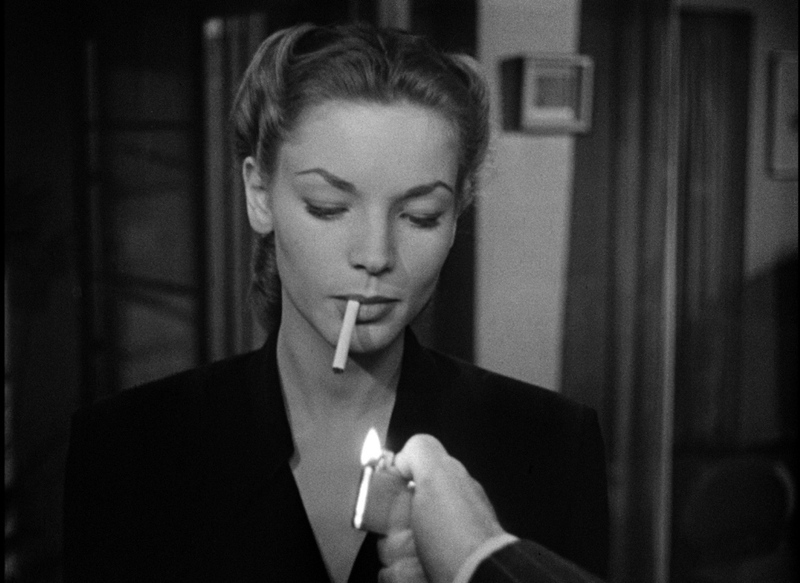 Bacall, as I noted, is terrific, and Moorehead is excellent in a slightly smaller role. It’s not a classic, but it’s still pretty good, especially as a character study of a man who’s lost everything and is struggling against so much to get it back. It’s MAN VERSUS SOCIETY, in other words, and that never ends as well as we want it to! Man, smoking is so cool – I should take it up! 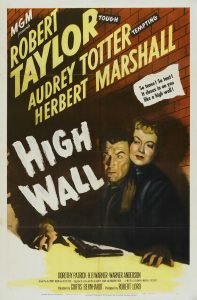 High Wall (1947). This is an interesting noir film, in that the murder takes place very early in the movie and the hero spends the movie trying to prove his innocence, instead of the usual “hero falling for the wrong woman and murdering someone on her behalf” plot that can be done very well, of course. The first time we see Robert Taylor, he’s in his car with his dead wife beside him, and he drives the car off the road and into a shallow river. The court decides he needs to go for psychiatric evaluation in order to see if they can try him, and that’s where he meets Audrey Totter, playing an actual doctor (I don’t know how rare this was in 1940s movies, but it’s neat), a psychiatrist who begins to believe that he’s telling the truth about his innocence. Mainly, she’s there to help him regain his memories, but it’s still interesting that we get this kind of male-female dynamic in a noir movie. Taylor obviously isn’t guilty, and we know the identity of the murderer not too far into the movie, but it’s still a tense thriller as he tries to elude the police and figure out how to get the killer to reveal himself. Taylor is fine as the hunky lead, and he does a pretty good job being desperate, and Totter is quite good playing against type, I guess (she plays the “bad girl” in noir a lot, I guess, although I’m not very familiar with her work). There’s some fun male chauvinism in the movie – Taylor returns from Burma after two years away trying to make a lot of money for his greedy wife, and when he finds out she took a job, he says he’s going to shut that down pretty quickly, and even at the end, when he and Totter get together, he implies he’s going to make her quit her presumably lucrative job. So the movie’s a bit progressive, but not too much. Anyway, it’s shot beautifully – there are some stunning long shots of alleys and buildings with gorgeous shadows juxtaposed against pools of light, and a lot of the climax takes place in the rain, which adds a nice touch of realism to the goings-on. It’s not a classic, exactly, but it’s very entertaining. 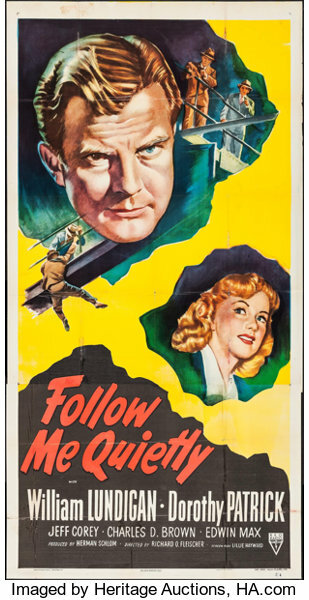 Follow Me Quietly (1949). What a weird movie this is. It clocks in at just about an hour, which means it’s lean and mean, but that also means that there’s just no time for anything but the plot, and the plot just isn’t that strong. There’s a strangler on the loose, and the cops have lots of clues but no real leads. Square-jawed Lieutenant Harry Grant (William Lundigan) can’t catch a break, and at the beginning of the movie he meets neophyte reporter Ann Gorman (Dorothy Patrick), but he has no time for her. She wants to write about the case, he doesn’t want her to, and they verbally spar a lot. 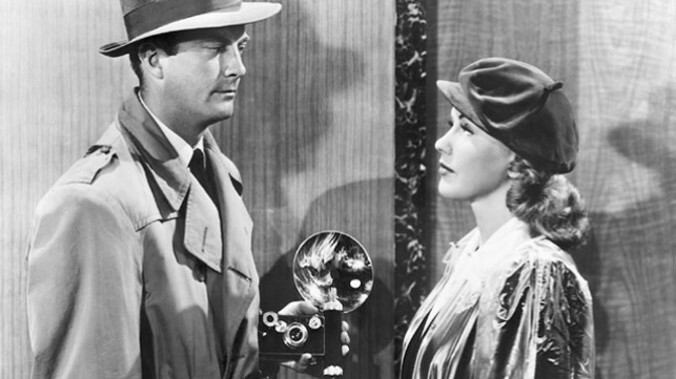 It could be a classic noir relationship, except for the fact that Lundigan and Patrick have zero chemistry together, so the romance goes nowhere until it’s forced on them both at the very end of the movie (both Lundigan and especially Patrick are pretty good, but they just don’t have any sparks). The weird thing about the plot is how bad everyone is at their jobs (except Patrick, but I’ll get to her). The killer leaves so many clues I kind of wish I had been a criminal 100 years ago or so, because you could just leave all sorts of clues and as long as the cops didn’t have your fingerprints, you’d be golden. The strangler would have been caught within 24 hours of his first crime if he had been active today. Lundigan is hopeless, as he chases his own tail for most of the movie. Patrick is superfluous, unfortunately – you’d think in a movie like this she’d either be connected to the killer somehow or get menaced by the killer, but she’s not and she doesn’t, and in the latter part of the movie (when Lundigan finally tracks the killer down), she’s totally absent. She does give Lundigan his final lead because she knows so much about her job (and clue exists thanks to a massive mistake by the killer, again highlighting how easy it was to commit crime back in the day as long as you weren’t completely incompetent, which this dude is), but Lundigan could have figured it out by himself with a little research. Finally, the killer is lousy. I don’t think he gets any lines, and we know nothing about him. How does he choose his victims (one he chooses for a good reason, but we know nothing about the others)? Why does he only strike while it’s raining? What drove him to kill? All that is incidental, because there’s just no time for it! I mean, it’s not like it was running long or anything – they could have easily tacked on 15 minutes to this and it still would have been nice and short, but perhaps, you know, better. I love noir, but this isn’t very good noir (despite a really nice opening shot that gave me some hope). Oh well. Such disregard for each other! 5 Fingers (1952). James Mason stars in this odd espionage movie as the valet of the British Ambassador to Turkey in 1944 who begins selling secrets to the Nazis. He does this solely for money; he doesn’t care even what’s in the documents – he just gets them out of the ambassador’s safe, photographs them, and puts them back. Apparently it’s based on a true story; the name of Mason’s character is changed and the countess in the movie didn’t exist, but I guess essentially it’s correct. Mason is such a good actor that we begin to sympathize with him, despite his motives and despite the fact that he’s helping an odious regime. I suppose the only thing that helps him (in the movie, that is, as I’m not sure if this happened in real life) is that the Nazis don’t quite trust that he’s not a British agent, so they simply sit on the information he gives them. This leads to some old-fashioned “Look at those stupid Nazis!” that movies always liked to indulge in, and also makes us hope that Mason gets away with his scheme to flee to Brazil. He does a very good job playing the valet and keeping his cool as the British slowly close in, and Danielle Darrieux (who died less than two years ago at 100 and provided a voice in the animated version of Persepolis in 2007, so good for her!) as the countess he needs as his accomplice does a nice job as well (although Mason falls into the Pop Culture Rule #1 trap, which is never a good thing!). He has to get his comeuppance, of course, because movies of this era couldn’t let such a scoundrel get away, but how it happens it quite clever. It’s filmed partly in Ankara and Istanbul, so the exterior scenes are very well done, and it’s a good, solid espionage movie. Not great, but certainly entertaining. Time Without Pity (1957). 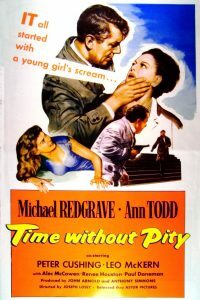 Michael Redgrave plays an alcoholic who, thanks to a stint in a rehab clinic, discovers that his son is about to hanged for murder only 24 hours before the execution. He decides to prove his innocence, but he’s racing against the clock!!!! This is a bit on the melodramatic side, as the actors occasionally freak out for no reason and the music goes wild for no reason, but it’s still pretty good. Redgrave plays the twitchy father very well; he’s trying not to drink, but he’s also desperate for alcohol, and it makes his performance quite good. He also figures things out in a realistic way – he’s not a detective, but he can still think, and because he’s coming at the case from the position of his son not being guilty (the police really didn’t look at any other suspects, as the son was dating the dead girl and there was plenty of circumstantial evidence against him), he can see some of the strange things surrounding the case better than the police can. The rest of the cast is quite good – Leo McKern is the car salesman with secrets, his wife Ann Todd also has secrets, their adopted son Paul Daneman … well, he also has secrets. In smaller roles, Lois Maxwell is terrific as an icy gold-digger (and gorgeous, to boot) and Joan Plowright, of all people, is the dead girl’s sister, but she seems to be in the movie simply to be hysterical (it was Plowright’s first movie role; she got better!). The movie hinges on Redgrave, though, and he makes it work, even including his bizarre scheme to rescue his son from the gallows. It’s a decent thriller, a mild anti-capital punishment tract, and a beautifully shot noir. Paths of Glory (1957). This is Kubrick’s first great movie, and it really opened a lot of doors for him, mostly because he worked with Kirk Douglas, who probably opened some of those doors (Douglas was 40 or so during the making of the movie, and he was a fairly big star, having already done The Glass Menagerie, 20,000 Leagues Under the Sea, and Lust For Life, for which he won an Oscar). It’s a terrific movie, as Kubrick manages to make a scathing anti-war movie without preaching as much as you might think, and gets excellent performances out of his entire cast. The two French generals, George Macready and Adolphe Menjou (who’s the only French person in the movie, despite the movie being about the French army), are wonderful as old men who don’t give a fig about the lives of their soldiers – Macready is more obviously evil, and the scene when he orders his artillery to fire on his own men is chilling (see below, and hey, it’s Oscar Goldman in that clip! ), but Menjou might be even more terrifying, because he effects a façade of concern. Douglas is great as the colonel who cares about his men and defends the three men (chosen at random) who are tried for cowardice, and Kubrick does a good job showing the randomness of war, as one man is only there because he knew his commanding officer actually was cowardly and got a man killed, yet that dude lives to fight (and, given this is World War I, probably die) another day. Timothy Carey, who was also in The Killing (see above), gives a weird performance as one of the condemned prisoners, and he was actually fired from the movie before it was done shooting, which is why Kubrick didn’t show the three condemned soldiers during the actual battle (which is odd, because he could have easily shown the other two, but instead we get Douglas and a lot of nameless extras). One of the most powerful things about the movie is that the court martial takes place in a commandeered chalet, which highlights the differences between the officers and the soldiers far better than any speech could do. Kubrick makes sure to shoot the opulent rooms from angles that make them seem even more gigantic than they were, dwarfing the poor soldiers who are fighting to defend a status quo that built those kinds of ridiculous excessive houses. Kubrick wasn’t yet 30 years old when he made this movie, but you can tell how brilliant he already was, and it’s just a superb movie. Well, that’s all for now. But there are so many old movies I haven’t seen, so you know I’ll have more posts like this in the future! I rarely (if ever) watch anything made that’s older than me. But those Kubrick films look interesting, although it’s funny that he hasn’t made all that many films before his passing. Only 13 feature films and 3 shorts. Because Edison only made a few films before your birth, Tom. I agree with you about the bland melodrama of San Francisco. And about the disaster cutting the plotlines short. It’s the equivalent of Siskel and Ebert’s complaint about movies that set up complicated character situations, then resolve them by having everyone fight. The Rafael Sabatini novel Captain Blood is even better than the film, and I highly recommend it. He has a lot more pirate adventures in the book (earning Rathbone’s comment that he’s the smartest pirate on the seas) so the clash with the rival pirate wasn’t such an odd fit. I still remember watching Captain Blood in college. When Flynn gets his first big close up, smiling into the camera, this mass “aaaaah” swept through the audience. Sabatini is great reading, all around; but, little of his novels actually made it to the screen. 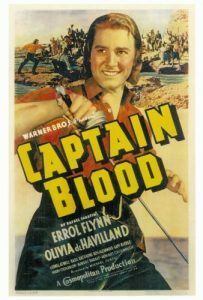 Captain Blood, the film is good adventure, though The Sea Hawk is so much better, as Flynn has more experience under his belt and plays it looser. Plus, Flora Robson, as Queen Elizabeth is just great. It also inspired Christopher Guest’s character, in The Princess Bride. The Black Swan has probably the least Sabatini in it; but, is a great pirate film, with Tyrone Power and Maureen O’Hara hating and loving each other, and George Sanders chewing some scenery, as only he could. Scaramouche was done a couple of times; but, the one I know is the 50s one, with Stewart Granger and Janet Leigh. Granger is pretty bland; but, the climactic sword duel, in a theater, is one of the best in cinema. 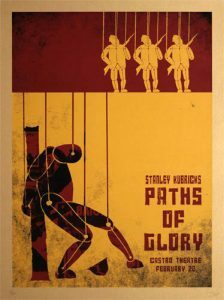 Paths of Glory is one of the best anti-war films ever made and the sad part is that it is mostly based on true incidents. Far more effective than the cinematic versions of All Quiet on the Western Front, though that novel is just fantastic. I think part of Bogey and Bacall not working more was both his starting his own company and her gaining a reputation for being difficult, after turning down several scripts she didn’t like. 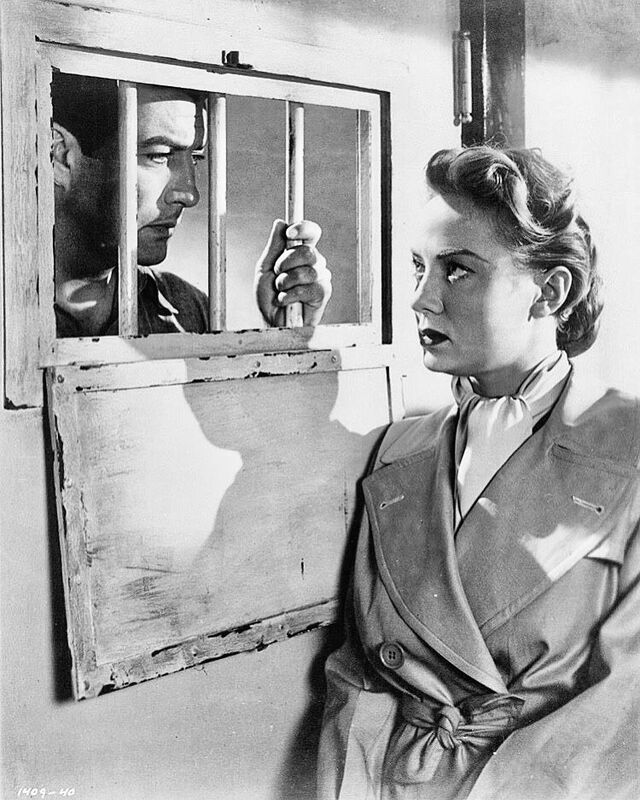 Also, Bogey was doing things like the African Queen and then The Caine Mutiny, which didn’t have a role for Bacall. His health started getting bad in the 50s, too. This did do a tv version of The Petrified Forest, in 1955, along with Henry Fonda. 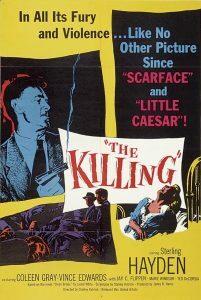 The Killing is one of the few Kubrick films (aside from Eyes Wide Shut) that I haven’t seen. Kola Kwariani was a real interesting character, in wrestling. He was the real deal, a Greco-Roman champion in Europe and a top draw as a pro, against Mr America Gene Stanlee. he also coached and train Antonino Rocca (The Amazing Rocca) and Bruno Sammartino (the WWWF champion). He was also a legit chess player and a highly rated one. He was actually Georgian, not Russian, though it was part of the Russian Empire, at the time of his birth. Jeff: In The Killing, Kola hangs out at a chess club, which was put in the film specifically because he was great at chess! ps There were actually two more Captain Blood books, collecting a series of short stories: Captain Blood Returns and the Fortunes of Captain Blood. This seems an opportune moment to point out that Kirk Douglas is 102 years old. They truly do not make ’em like Kirk anymore. fit2print: As I was watching Paths of Glory, I mentioned to my wife that someone really should make a movie and cast both Douglas and de Havilland, as they’re both alive and kicking! What’s really amazing is that it’s been like 20 years since Kirk had his stroke. I recall his appearance at the Oscars, after it had occurred and he gave a short speech, that was hard to get out, as his speech had been very badly affected; but, he didn’t seem to care. he worked through it and continued therapy. He and Otto Preminger were the guys to break the Blacklist and get guys like Otto Preminger screen credit for their work, after Trumbo won the Oscar for Roman Holiday, under an assumed name. Tons of respect for that man, for his work and his principles. You can’t go wrong with Lloyd Nolan in the Michael Shayne series: he perfectly compliments the films in that he’s breezy, unflappable, has a sense of humor–the sort of things that make you WANT to be a PI in real life.